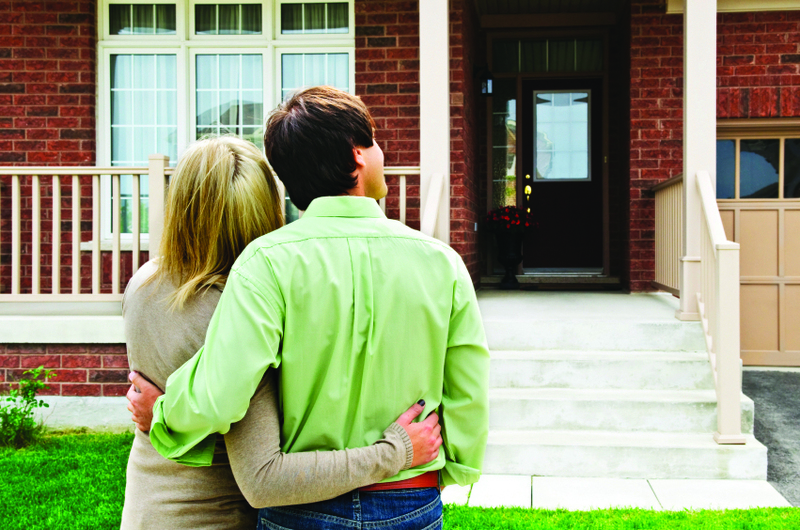 Few life events require as much planning and preparation as weddings and purchasing a home. But that’s not the only reason why buying a new home is similar to planning a wedding. And believe it or not, some couples actually do both at the same time. If you’re planning your dream wedding and buying your dream home, you’ll notice the following similarities. You both need to get on the same page about expectations. They say that opposites attract. However, it’s certainly helpful for both partners to be similar in certain ways. Both of you will need to get on the same page regarding the expectations for the wedding and the home. When you’re checking out the listings of Wilmington-area homes for sale, each of you should keep a separate list of must-have and nice-to-have amenities. For instance, if you have your heart set on a single-family home, but your partner is partial to townhomes, some compromising is in order. You need to develop a comprehensive budget. Some couples spend only a few hundred dollars on a bare bones wedding, believing that love is more important than materialism. Others decide to make that perfect day as special as possible, and spend thousands on the florist, venue, band or DJ, caterer, dress, and cake. Regardless of your approach, you and your partner need to develop a comprehensive budget for the wedding that includes allowances for every type of expense. The same method applies to buying a home. Knowing how much home you can afford is only part of the equation. You’ll also have to figure out your down payment, develop a budget for moving expenses, and figure out how much you’ll spend on furnishings and décor. And unless you’re buying a new construction, move-in ready home, you might also have to shell out some cash for repairs. It’s all about location, location, location. Selecting the right location is one of the most important steps in the process of either buying a home or planning a wedding. For the wedding, you’ll want a beautiful location that will look great in the wedding photos. You’ll have to decide whether you want to stay close to home or opt for a destination wedding. For your new home, location is even more important, since you expect to be there for years or decades, rather than a day. Look for a community that’s convenient to major attractions and major cities nearby, but also has the right family-friendly atmosphere for your future. Looking for new construction homes near Philadelphia? Preparing to purchase a home can be a long, difficult process, but Montchanin Builders makes it easy through our partnership with our preferred lender. 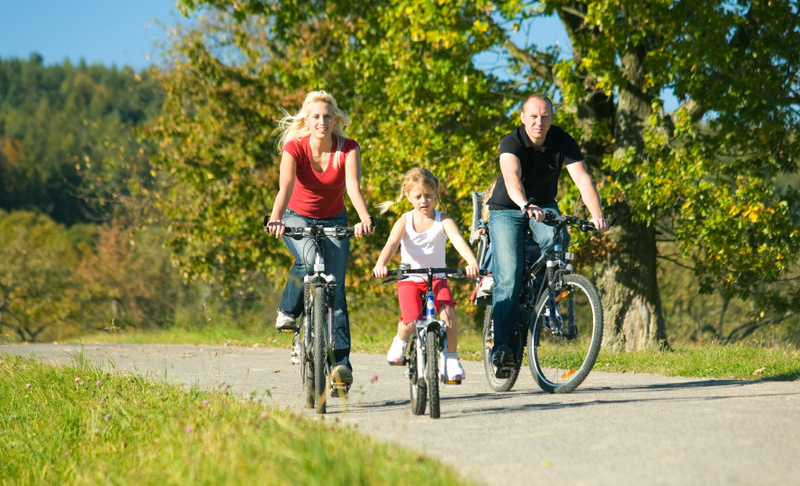 Our new home communities in Delaware are close to major attractions and transportation hubs. They’re also neighborly, walkable communities that are perfect for families, individuals, and seniors who are looking for a peaceful sanctuary to call home. Call Montchanin Builders today at 302-472-7212 or fill out our online form. Schedule a tour of our move-in ready Wilmington homes for sale at our communities of Darley Green, The Overlook at Rockford Falls or The Town of Whitehall. One of the fun aspects of buying your own townhome is that you can customize the interior however you wish. Want to recreate the distinctive looks of the 50s or 70s? Go for it! Want to paint a mural in your bedroom? No problem! Have fun with your interior design ambitions, and don’t be afraid to think outside the box. The bedroom is the perfect place to experiment with new design concepts, since it’s generally off-limits to guests. Here are a few ideas to inspire you. If you’re trying for a traditional look, you could choose a large wooden or ornate metal headboard. But why not try something stylishly different? Use painter’s tape to square off an area on the wall behind your bed and paint it a strikingly different color than the rest of the wall. Extend the painted edge to line up with the edge of your bed. Or, ditch the conventional headboard for a soothing work of art instead. You can also play with shapes. Instead of a square block of painted wall or artwork behind your bed, you could nail up a circular, rustic-looking, woven sisal or hemp throw rug. To make this idea work, you’ll have to find a visually intriguing rug with braided or woven textures. A similar headboard alternative is to lay a visually pleasing folding screen against the wall behind the bed. It’s common for homeowners to allocate much of the lighting fixture budget for a fancy chandelier in the entryway, and for dramatic, statement lighting in the kitchen and dining room. The bedroom often gets shortchanged. It’s time to change that. Look for truly unique ceiling lighting fixtures for your private sanctuary, like a fixture in the shape of a giant magnolia blossom, with elegant gunmetal-colored “petals.” Or, if you’re feeling regal, consider a ceiling light in the shape of a king’s crown. There are virtually limitless options to choose from. Try browsing specialty lighting shops instead of big box stores. Another way to carve out a sanctuary in your townhome is by adding an elegant sitting area to the master bedroom. It’s the perfect place to relax with a good book on a rainy Sunday. Pair a comfortable recliner with a small occasional table, and place both by the window. Then, add some items for décor, like a large potted plant in the corner and an oil painting on the opposite wall. Montchanin Builders is known for building elegant homes in Delaware. In addition to our Wilmington, DE single family homes, we’re pleased to offer luxurious, yet affordable townhomes for sale in our planned communities. You can tour Darley Green or The Overlook at Rockford Falls today to find your beautiful new home. You can call 302.472.7212 for more information about our homes for sale in Wilmington, Delaware. Townhomes are an increasingly popular option for homeowners, particularly those who are purchasing their first home. This is because, while townhomes are more affordable than single family homes, they offer the same lifestyle perks. Plus, they tend to have generous square footage for home buyers who are interested in growing their family. In particular, Montchanin Builders in Delaware is known for designing spacious and beautiful townhomes that are perfectly suited to young couples and retirees alike. Not all townhouses look alike from the outside. You have lots of options to consider, from stacked townhouses with two to three stories, to twin homes, to manor townhouses. Stacked townhomes are what you would think of as a traditional townhouse, including a one-car garage. Twin homes are two townhomes positioned together. These offer the option of a two-car garage. If you’re looking for something a little different, consider purchasing a manor townhome. Manor townhomes are the height of upscale luxury. The Monroe, The Montgomery, and The Maxwell offered by Montchanin Builders are manor townhomes with unique architectural features on the exterior. Inside, you’ll find up to 2,500 square feet of finished living space, with 9’ ceilings and a gourmet kitchen. Every home should be personalized to suit its owners’ unique style preferences. No matter which architectural style you choose, you’ll have the option to customize your new townhome. Choose from stainless kitchen appliances, granite countertops in your choice of colors, recessed lighting, and upgraded kitchen cabinets with designer hardware. You can also choose your own flooring, including hardwood or ceramic tile. One of the reasons why townhomes are such a popular investment is that they are typically thousands of dollars less than single family homes. But unlike an apartment or condo, you’ll own the land you live on. Treat yourself to some new furnishings, but don’t buy everything until after you’ve moved in. You should have the essentials, of course, like the beds, mattresses, table, and seating options. But wait to go to the furniture store until after you get a better sense of your ideal furniture layout. Take measurements and do plenty of online window shopping so you can get your new townhouse looking exactly how you want it. If you’re interested in getting $15,000* toward your new home purchase, as well as favorable rates from one of the most reputable home lenders in the country, then it’s time to get in touch with Montchanin Builders. We are a premier home building and community planning company, offering exquisitely designed new homes in Wilmington. We invite you to tour our beautiful, family-friendly communities in the Wilmington, Delaware area, including Darley Green and The Overlook at Rockford Falls. Call our office today at 302.472.7212 to inquire about our Wilmington, DE townhomes for sale. *$15,000 towards your new home purchase with the use of NCC WF Program, Preferred Lender and Settlement Attorney. The Philadelphia and Lancaster Turnpike is hailed as America’s first engineered road, and its first long-distance paved road. It was first used at the tail-end of the 18th century, and fortunately, it’s improved quite a lot since then. Today, travelers on Philly Pike can take a break from the road to enjoy the rich diversity of restaurants and eateries along their route. The fantastic dining scene on Philadelphia Pike is just one of the many reasons why singles, couples, and families have been moving to the North Wilmington, Delaware area. The area is also known for its beautifully designed, courtesy of Montchanin Builders. Browse our website to view our available properties in Darley Green or The Overlook at Rockford Falls. Our luxurious, new townhomes in North Wilmington are selling quickly, and we’ve partnered with a reputable lender to make it even easier for you to come home to our community! Mazzella’s is one of the best kept secrets of the Philadelphia Turnpike. It’s an award-winning restaurant that consistently gets rave reviews from its diners. The menu includes everything you’d expect from an Italian restaurant, including hot sandwiches, specialty pizzas (try the seafood toppings! ), calzones, and Stromboli. Entrees include fettucine carbonara, penne primavera, and penne vodka with chopped prosciutto. Diners with special dietary requirements will be pleased to know that gluten-free penne is available. Don’t leave without checking out the dessert menu, which features limoncello mascarpone cake, homemade tiramisu, and homemade New York cheesecake. Cajun Kate’s is run by husband and wife team, Don and Kate Applebaum, who met at culinary school. Both worked the famed restaurants of New Orleans before heading back up north to Delaware. Cajun Kate’s has earned a reputation for serving up authentic, made from scratch N’Awlins specialties like crawfish pies, crispy Cajun mac n’cheese, beignets, and Southern-style pralines. Currently, the restaurant is open Fridays and Saturdays for breakfast, lunch, dinner, and dessert. Just a few blocks from Philadelphia Pike, Bellefonte Café is one of those rare places where you can instantly feel at home as soon as you walk in the door. This casual, homey eatery exudes a bohemian ambience, and the staff is unfailingly friendly and attentive, without being overbearing. Housed in a residential-style building, you can relax on the beautiful wraparound porch, check out the herb gardens out back, or head inside to dine while being serenaded by live music. The menu is pleasantly eclectic. Start with a Greek salad, roasted beet salad, or Thai chicken salad, or try the Moroccan sampler for a shareable appetizer. Try their unbeatable Philly cheesesteak, paired with apple slaw, or try the chickpea fajitas. In the mood for something a little different? Try the mango brie quesadilla or the vegan “cheesesteak” with chopped seitan, Portobellos, and melted Daiyo cheese. To schedule a tour of the luxurious new North Wilmington townhomes brought to you by Montchanin Builders, call (302) 472-7212 today! Just HOW big is New Year’s Eve in Philadelphia? 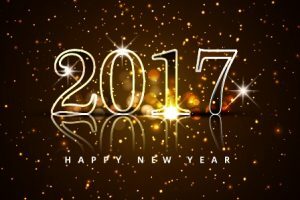 The city is ringing in 2017 not once, but twice! The SugarHouse New Year’s Eve Fireworks on the Delaware River Waterfront will take place at 6 p.m., and again at midnight. Inside, there is a grand celebration with live music from Burnt Sienna and an open bar. You can reach the casino by taking a cab or the SEPTA Blue Line to Old City and walking five minutes to Penn’s Landing. By car, you can park in one of the lots down Columbus Boulevard. Aside from the main attraction, there are many other ways to celebrate New Year’s Eve in Philly. Having trouble deciding on just one place to party? The adventurous can purchase a NYE All Access Pass for $109 from Finn McCool’s at 118 S. 12th Street, which gets you into open bars at 1925 Lounge, Brü Craft & Wurst, Finn McCool’s, Mad River Bar & Grille, and Recess Lounge. DJs will be spinning Top 40, Hip Hop, Dance/House music from 9 p.m. to 2 a.m. The Blue Cross RiverRink Winterfest is a popular spot for music, food, drinks and ice skating. The fire pits and cozy warming huts offer a nice respite from the cold — not to mention, one of the best views of the fireworks celebration. There will be a Kids Lodge set up with arcade games, food and drink from Garces and Chickie’s and Pete’s. Don’t forget to grab dessert at the Franklin Fountain Confectionary Cabin. All ice skating passes sell out early, but you can still come by the beautiful wintry scene as a “spectator” for $30, which includes live entertainment, a spot for the fireworks, and a party favor. North Bowl Lounge N Lanes is hosting New Year’s Eve festivities for the whole family from 5-8 pm, which will include bowling, a “ball drop”, food, games, DJ tunes, face-painting, balloon art, and caricaturist drawings. Tickets are $18 per person. You’ll have your choice of 17 bowling lanes, two full bars, pool tables, and arcade games. New Year’s Eve on the Moshulu offers a celebration aboard the oldest and largest square-rigged sailing vessel still afloat. The deck provides top-notch fireworks viewing, a dessert buffet, a cash bar and live music. 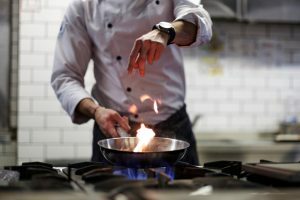 You can also opt for the four-course prix fixe dinner that includes beef tenderloin, lobster tail, tuna steak, braised lamb shank, crab-crusted grouper, or beef short rib. Music options include a DJ spinning mid-deck, a pianist, in the dining room, and a jazz trio in the Orchid room. The cost ranges from $35 for children, to $125 from 3:30 – 6:45 p.m., or $195 from 7 – 10:30 p.m. Beverages are extra. If you are not dining, you can still join the party for $50, which includes dessert, access to a cash bar, and music. These are just a few of the many, many places to party on New Year’s Eve in Philadelphia. Philly, and all it has to offer, is only a short drive from Montchanin communities like Darley Green, Shipley Road and Town of Whitehall. Contact our office for an exciting start to 2017 with a tour of available homes in Delaware. In the market for a beautiful new home in Delaware or Pennsylvania? Prospective homebuyers have more inviting options than ever before within the upscale communities offered by Montchanin Builders. This innovative residential construction firm, headquartered in Wilmington, has put their expertise and talents to work in five distinct communities in some of the most sought-after areas of New Castle County and Chester County, PA.
Montchanin’s “5 Hottest Communities in Delaware and Pennsylvania,” were recently featured in Delaware Today, giving families a sneak peek into the amenities, floor plans, community highlights and picturesque locales of each unique development. Whether you’re searching for a luxurious estate home to grow your family, or a contemporary condo with an easy city commute, these new construction homes promise the best in architectural design, high-end finishes, and proximity to nightlife and recreation. Darley Green is a 67-acre master-planned community that is Wilmington’s best kept secret. Its enviable location in the Claymont Renaissance District is attracting attention as the state’s first transit oriented, urban style community. Darley Green features elegant condominiums and townhomes along with its own town center, and is just steps from the SEPTA R2 line and the Claymont commuter train. Homeowners can walk to retail shops, dining establishments and a state-of-the-art library, and walking trails and communal green spaces. Situated just outside of Middletown, DE, the Town of WhiteHall is the area’s premier walkable community that seamlessly integrates nature, recreation, locally-owned businesses and stunning 3, 4 and 5-bedroom single family estate homes. 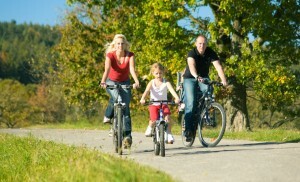 Residents enjoy a backdrop of mature hardwoods and miles of scenic trails that lead to Lums Pond State Park. 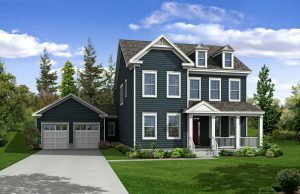 Homebuyers can choose from several floorplans that feature grand front porches, covered back porches, walkout basements and options to customize for an office or quaint reading nook. Shipley’s Circle is a unique three-lot community nestled in heart of the Brandywine Hundred. Each 4 bedroom, 2.5 bath semi-custom estate home boasts a spacious 2-garage garage and dozens of luxurious amenities. These elegant single-family homes offer 2,825 square feet of living space and are centrally located close to shopping and entertainment as well as award-winning schools. Renowned for its tranquil rural setting on the historic Bancroft Mills site, the new community of Rockford Falls is currently under construction. The community is slated to have 3,000 square foot Delaware townhomes perched on the hillside, each with three spacious bedrooms, two car garages, and gorgeous views of the Brandywine Creek. Also under development is Pennsylvania’s newest “agrihood,” on a 26-acre property in Unionville. What sets this neighborhood apart from the pack is its community gardens, harvest barn and working fields. 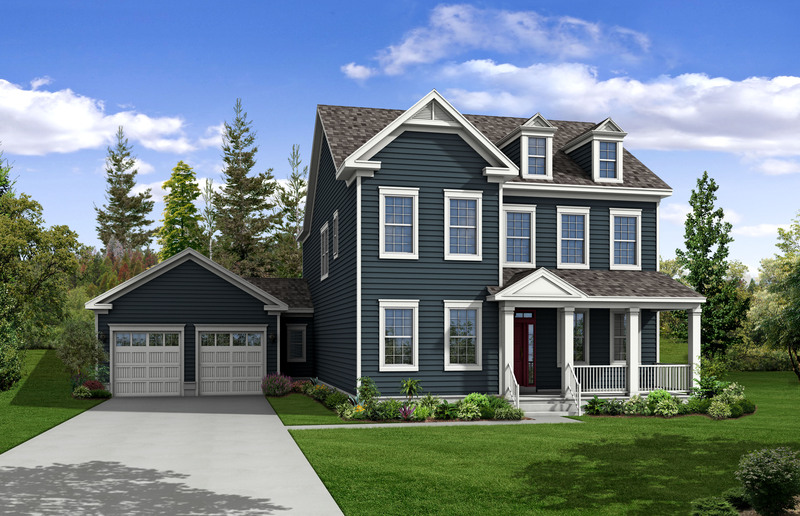 Montchanin will be lending its building expertise in the craftsmanship of 17 custom single family homes, each situated on a 10,000 square foot lot. Schedule a home tour today! Montchanin Builders is proud to bring quality affordable housing solutions for first (and second time!) home buyers in the Tri-state area. To learn more about our distinctive communities and move-in ready homes, we invite you to contact our sales team today. You can reach us online, or by calling (302) 376-1100. Philadelphia’s Best Festivals & Events Are Just Around The Corner! Spring is in the air and the warm weather is bringing people out of their homes for fun festivals and area events. Montchanin Builders offers a low-maintenance condo and townhomes in Wilmington, Delaware — just 30 minutes from Philadelphia. Check out these family favorites coming up soon. Who doesn’t love food? The annual Philadelphia Magazine Wine and Food Festival is the ideal opportunity to get out and sample some of Philly’s best food and drink. Event highlights include sips of over 650 exclusive wines samples from around the globe, as well as new product tastings and classic bites from the most popular restaurants in the city. Eateries featured include 1100 Social, Bank & Bourbon, Crow and the Pitcher, Davio’s, Fat Jack’s and Laurel, to name a few. An on-site Fine Wine & Good Spirits store will be available to purchase take-home souvenirs of your favorite finds. Don’t miss this spring festival, held on May 3rd. Spanning 12 city blocks, the 3rd annual South Street Spring Festival and Maifest is a German food and drink enthusiast’s delight, but also a free family-friendly gathering. This year’s festivities on May 7th will encompass 125 vendors, 35 participating restaurants, and 40 bands on 3 stages. Highlights include: burgers and sausages al fresco from The Twisted Tail; banana cream pies from The Sweet Life Bakeshop; giant pizza slices from Lorenzo’s; famous cheesesteaks from Jim’s; and frozen daiquiris from Fat Tuesday. Maifest is held at Brauhaus Schmitz, offering German beers, along with roast pork sandwiches, sausage sandwiches and bratwurst. Adding to the ambiance are the authentic dancers, the city’s largest maypole, and traditional German music. This year, Franklin Square turns 10. To celebrate the historic landmark park, Philadelphia’s kicking off the first-ever Chinese Lantern Festival in the Northeastern United States. The nightly light spectacle will include 25 illuminated lanterns, giant flowers, a three-story pagoda and a 200-foot-long Chinese dragon. Daytime admission is free, where your family can enjoy rides on a carousel, mini golf, craft booths and vendors selling authentic Chinese goods. By night, you’ll need a ticket ($17 adults, $15 seniors and military, $12 kids) for the light show and food specials, in addition to live performances by acrobats, opera performers, dancers, and musicians. The festival runs from April 22 – June 12. 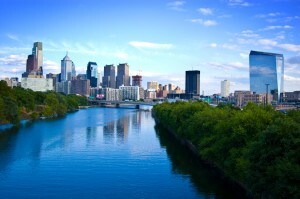 Living in Delaware has many advantages for people currently living in nearby Philadelphia, Pennsylvania. For starters, there is NO SALES TAX in Delaware. You can also get more space for your money and enjoy below-market prices with brand new homes starting in the low $200s. We offer retail shopping at Brandywine Town Centre and Concord Mall in close proximity, as well as recreational paths and restaurants within walking distance. Commuting to Philadelphia for work is a breeze with easy access to I-95, as well as the SEPTA R2 line and Wilmington Amtrak station. Book your tour of the Darley Green community today! Along with the warmer Wilmington weather comes an influx of calls about our new homes in Delaware. We’re not the only ones experiencing increased activity. According to Realtor.com, about 40 percent of home sales take place from April through July. Homes are available all year round, but many shoppers take advantage of the spring season for several strategic reasons. If you’re looking for a home with very specific features or wish to live in a particular neighborhood, it’s best to look in the spring when there are more homes on the market. Even in new developments where individual sellers are not a factor in determining when to put a home up for sale, builders like basing deadlines for completion to coincide with the increase in buyer interest, so spring is still a great time to look. Unlike the existing home market, you’re not likely to run into competitive rifts with other prospective buyers in a new homes community like Darley Green. Since it could take four to six weeks to close on a new home, depending on a variety of factors, families who wish to move in the summer when the kids are off school should ideally start their search in the spring. Particularly for new homes where customization options exist, early house hunting gives you time to “get your house in order,” so to speak, and make desired modifications prior to a summer move-in. With the tax filing deadline coming up on April 15th and refund checks going out within 21 days after that, buyers will have a little extra padding in their wallets to put toward closing, moving costs or new furnishings. For Delaware residents, the average tax refund is around $2,563, according to SmartAsset.com. The CoreLogic Home Price Index reports that home prices have appreciated 6.3% over the past year. Their panel of over 100 economists, investment strategists and housing market analysts predicts that prices will continue to rise another 5.5% in the coming year. While mortgage rates have remained around a super low 4% rate, the National Association of Realtors and the Mortgage Bankers Association predict that the rate will be up almost three-quarters of a percentage point by this time next year, which will impact monthly mortgage payments. Ready to buy a new home in Wilmington, DE? Spring is a time of rejuvenation and fresh starts. If you’re considering a big move, why not get the property and lifestyle of your dreams sooner rather than later to begin life anew? Call us at 302-655-2600 to schedule a walk-through of Darley Green’s move-in ready condos. We are located in the excellent Brandywine School District in a safe neighborhood with tree-lined streets, community gathering space, a state-of-the-art library, walking and jogging trails, a stream, green space and waterfront recreation and sports just minutes away. In the master-planned community of Darley Green you’ll find townhomes with up to 2,100 sq. ft. of living space and two-car garages, as well as two-story condos with up to 2,500 sq. ft. of space and one-car garages. If you’re looking for a new home in Philadelphia, why not expand your search to Wilmington, which is just 15 minutes from the Philadelphia International Airport – but with lower taxes? We look forward to helping you with your spring home search! Though the weather outside may be “frightful,” it doesn’t stop local residents from getting out to enjoy all the delightful festivities of the holiday season. 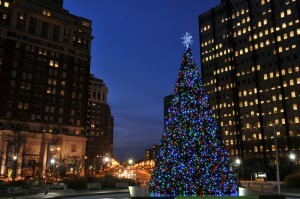 Whether your idea of fun consists of hot cocoa and ice skating or shopping at Macy’s and high-tech light shows, the best of Philadelphia at Christmastime is less than 30 minutes from the Delaware townhomes of Darley Green. Philadelphia’s annual transformation of Love Park into “Christmas Village” has been called “the Best Outdoor Event” by Philly Happening Magazine. Open from Thanksgiving through the last Sunday of December, the outdoor holiday market is modeled after traditional Christmas markets in Germany with vendors at more than 60 wooden booths, traditional European sweets, international gifts, arts and crafts, thousands of lights and a festive holiday tree. The centerpiece of Winterfest is the Olympic-size skating rink overlooking the Delaware River lined with holiday trees. You’ll also find a ski-chalet style lodge, a winter garden, heated tents, fire pits, food vendors, themed parties, and holiday flea market. Starting the Friday after Thanksgiving and running through the end of December, Macy’s shoppers will be treated to over 34,500 LED lights on a towering pine, with another 65,000 lights decorating the scene. The voice of Julie Andrews and a Wanamaker Organ accompany your journey through classic holiday tales like The Nutcracker and Frosty The Snowman. The third floor of Macy’s flagship Philadelphia store is transformed into a 6,000-square-foot 1840s village with more than 100 animated characters telling the story of Charles Dickens’ A Christmas Carol. No matter how many times you’ve been to Franklin Square, you don’t want to miss the Electrical Spectacle Holiday Light Show that runs every 30 minutes from 4:30 to 8 p.m. from November 12 through December 31. More than 50,000 lights flash in accordance with holiday music played by the Philly Pops – but that’s not all! Revelers can also ride a holiday train and carousel, nosh at Ben’s Bites & Brews food truck, play a round of mini-golf while staying cozy with warming stations, shop for unique gifts at the holiday market, visit with Santa, or participate in one of the many fun themed events like Star Wars Night, Frozen Night or Nutcracker Night. Not sure what you’d like to see? Hop aboard the Philadelphia PHLASH, which departs from the Independence Visitor Center every 15 minutes and makes 22 stops in Center City Philadelphia. 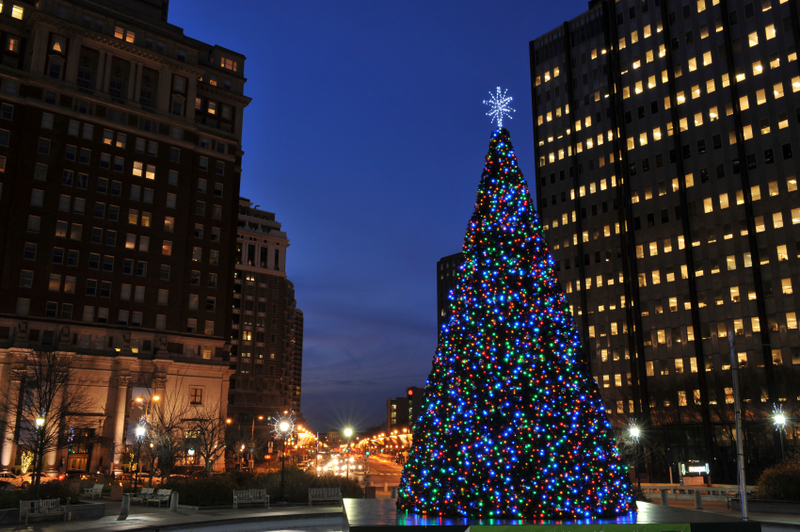 For just $2, you can take the Holiday Evening Loop from 6-10 p.m. to experience Franklin Square’s Holiday Festival, Macy’s Christmas Light Show, Christmas Village at LOVE Park and more. All the best is just a half hour drive from the master-planned community of Darley Green. To learn more about Montchanin Builders’ walkable, family-friendly community located in Delaware’s Claymont Renaissance District, please call 302-655-2600. 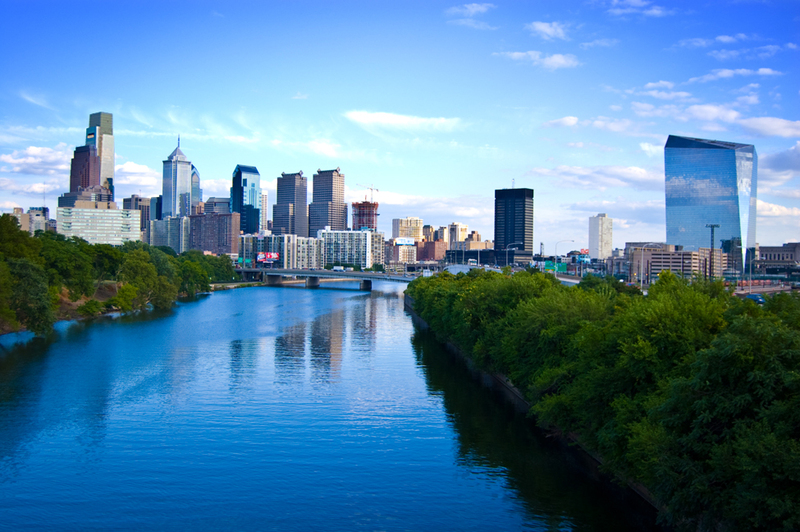 There are certain American cities that seem to come alive in the summer but possibly none more so than Philadelphia with its rich riverfront setting, multicultural residents, and spectacular historic traditions. The city seems to explode from Memorial Day to Labor Day with a calendar full of art, food, and music festivals, blockbuster attractions, sporting events, and family-friendly happenings. One spectacular sight that never fails to catch everyone’s breath is the vision of a fleet of two to three hundred foot long three masted ships gliding under full sail into port. That’s what you’ll experience from June 25 to June 28 at the Tall Ships Challenge Philadelphia Camden 2015 as you’ll be able to climb aboard one of these beauties and go for a sail on the Delaware. If you’re appreciating Philly for the first time or looking at Philadelphia condos as an option to make this gorgeous city your own, be sure to take a break from the many summer events to visit Darley Green, the master planned community of beautiful condos and townhouses just a quick twenty minutes away from downtown Philadelphia in Wilmington, DE. You’ll find a wide selection of affordable condos and townhouses, great design, top amenities, and a wonderful small town feel. At Darley Green, you’ll get the best of both worlds—a dynamic and vibrant city full of culture and opportunity in Philadelphia and a delightful maintenance-free home base at Darley Green. One of the best urban beaches in the world is in Philadelphia? Yes, that’s exactly what the Huffington Post proclaimed Spruce Street Harbor Park on the Delaware River in Philadelphia. It called SSHP “a summer-festival-meets-urban-beach-mash-up that brings together pop-up restaurants, a sand pit strung with hammocks and a small beach with loungers and cozy fire pits. The highlight is a traditional wooden boardwalk lined with street food stalls and arcade games in old shipping containers.” Philadelphians wait all winter for this eclectic riverfront scene with its bocce court, beer garden, and a floating restaurant that Travel + Leisure Magazine calls one of “the coolest floating restaurants in the world.” And what’s also cool is that it’s FREE! Follow Philadelphia folks in the know to another great pop up experience, the Oval, the City of Brotherly Love’s eight acre “Park on the Parkway” located next to the Philadelphia Museum of Art at Eakins Oval. Open all summer, the Oval is where you go for the latest art installations, live music, the best food trucks in town, not to mention craft beer and movie nights. It’s all summer and it’s also free! Didn’t get enough ice skating this winter at RiverRink’s Winterfest downtown on the Delaware River? Revisit your “inner kid” this summer and roller skate at Philadelphia’s brand new Blue Cross RiverRink Summerfest. It’s got a great lodge, a play area for the kids, and will stay open until the end of September. The condos and townhomes at Darley Green in Wilmington, DE are a fantastic and affordable option for the smart buyer who wants all the big city amenities that Philadelphia has to offer but wants the luxury of a gorgeous maintenance free home just minutes away by car or train. No matter where you live, what’s summer without one of America’s greatest 4th of July celebrations. Come to WaWa Welcome America in Philadelphia, a blockbuster Independence Day extravaganza of concerts, fireworks, and fun activities celebrating America’s independence. Finally, we all hate for summer to end but what a great bookend for all the non-stop summer activities in Philadelphia is the two-day Made in America Music Festival over Labor Day weekend. Dozens of top music acts on multiple stages set up on the Benjamin Franklin Parkway and all curated by Jay Z provide a perfect cap to the summer. There are way too many summer fairs, festivals, and events in and around Philadelphia to list here. If you’re thinking Philadelphia condos are your only option, you’ll find there may be no more affordable and luxurious ways to experience Philadelphia than owning a move-in ready home at Darley Green, situated just five minutes from downtown Wilmington and 20 minutes from Philly. Call 302-472-7213 to learn more about the many benefits of this master-planned community or to schedule a home tour of Darley Green.